Freestanding Multi-Fuel Fire – The Wagener Leon is Sparky’s big brother and has evolved because you asked us for a larger version of this extremely popular wee fire. Leon has all the features of Sparky but with an increased heat output of 16-18kw, an optional 3kw wet back delivering plenty of hot water and a fixed log box base for storage. The name Leon is in recognition of Leon Kernot who started the family business and designed the first ever original Wagener Stove some 35 years ago. Leon the man was hardworking, entrepreneurial and very popular and that is our expectation for this new stove. 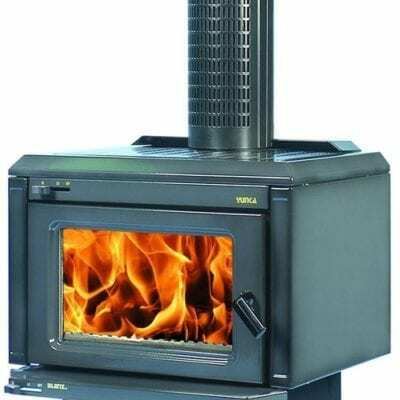 Leon the stove is designed by son Barry and partner Ngaire, who currently own the business, and handcrafted and dispatched by the grandsons Troy and Kyle along with the rest of the Wagener Stoves team. Leon has been built to work hard and stand the test of time just like his forebear the original Wagener Stove. He will keep you warm and cosy on the outside and will boil the kettle or cook a pot of soup or stew to warm your insides too. Leon can also be fitted with optional cook top rails as we do on Sparky. 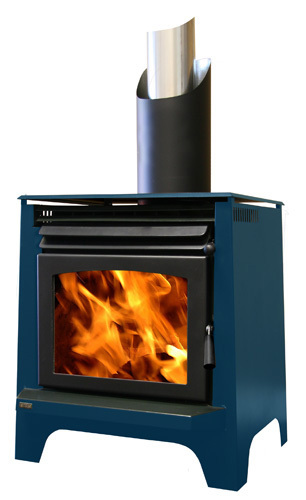 Heat Output – The Wagener Leon generates a comfortable 16-18 kw (estimated) heat output. A 3kw “Lion” wet back can be fitted to heat your hot water.